There are a number of contractors out there, so there are a few things you should know before hiring one for your next project. 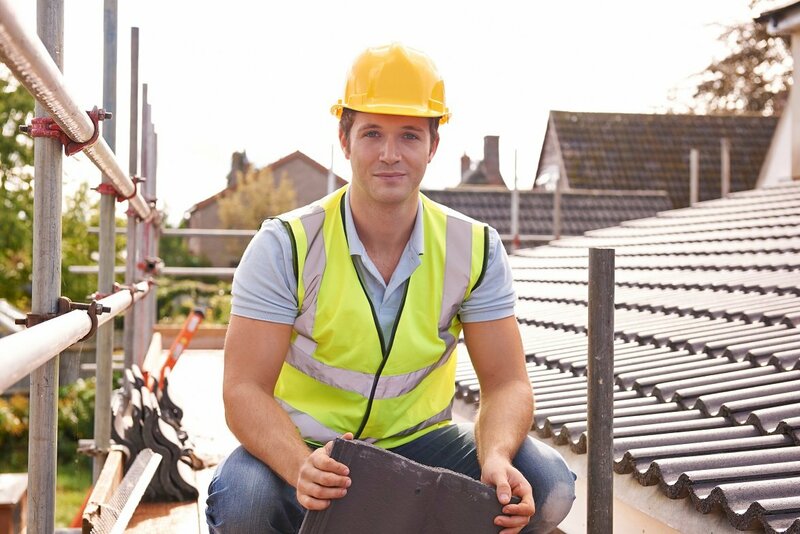 It is important to find a reliable and licensed contractor to avoid financial risk and problems or damage to your roofing, which may come with unlicensed and unprofessional workers. In the state of California, any contractor that performs work on a project expected to value more than $500 for combined labor and materials must have a valid and current license from CSLB. You are advised to call and verify licenses for any worker you are considering. Unlicensed workers pose a serious risk to your safety and your finances. Should a worker be injured while on your property and they are uninsured and unlicensed, you will take the hit financially. The majority of unlicensed workers also perform work at a lower level of quality which can lead to serious damage and expenses. In the end, it is not worth saving a few dollars by opting for an unlicensed roofer, because you risk paying so much more if anything goes wrong. When you carefully plan your project in advance, it is easier to identify and hire the appropriate contractor. You need to clearly define what you need done before deciding who is the best for the job. You typically get to choose between a general and specialty contractor and understanding the difference is important to your decision. General contractors oversee projects and coordinate specific licensed subcontractors for any particular job. 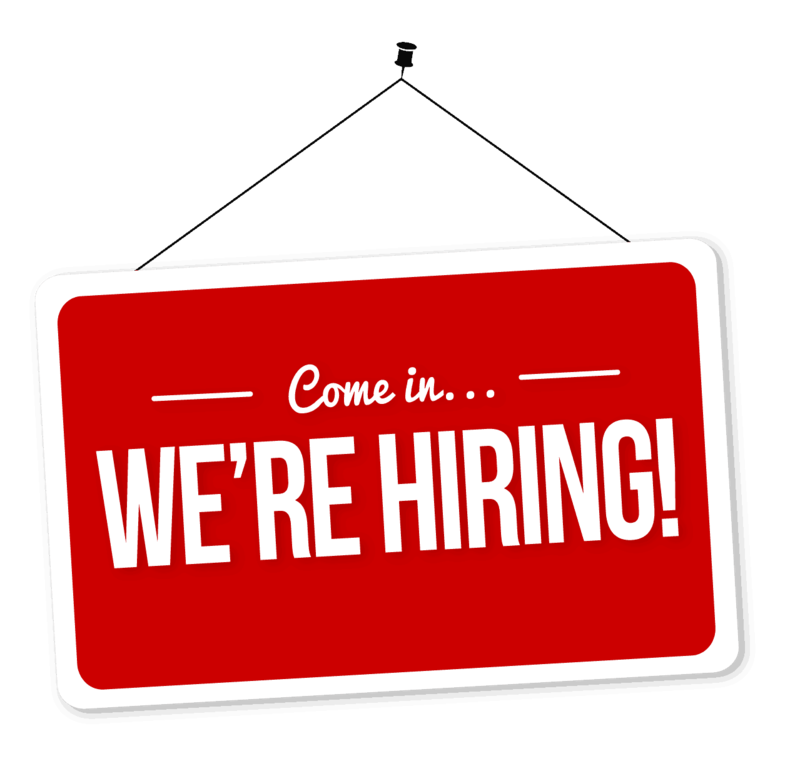 Specialty contractors, on the other hand, are hired to perform a single job. When you need a roofing project completed, you will hire a specialty roofing contractor to ensure you get someone that knows the industry best. General contractors can also contract for specialty work, but they must hold a valid license for that specific type of work. The only exception to this is when the project has more than two types of work involved. In this case, a general contractor will oversee the combined efforts of the project. The general contractor can hire subcontractors that have specialties based on the work that is needed. There are many contractors out there to help you with your various installation projects. 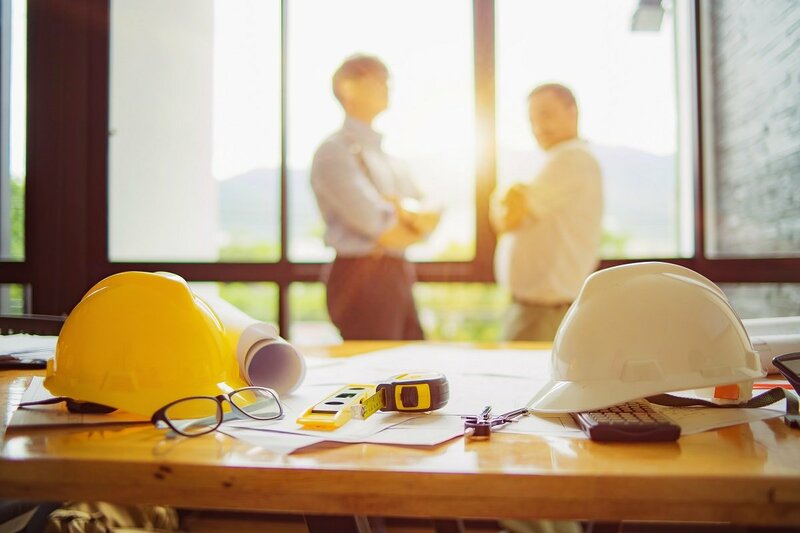 Understanding the difference between general and specialty contractors can help make the decision and hiring process smoother, and you can get the best possible work for your project. Roofing estimates are not contracts and do not lock you into any deals with a contractor. These estimates are usually different and not universal in any way, which can be confusing. Some of them lack important information and others hide details that you need to know. 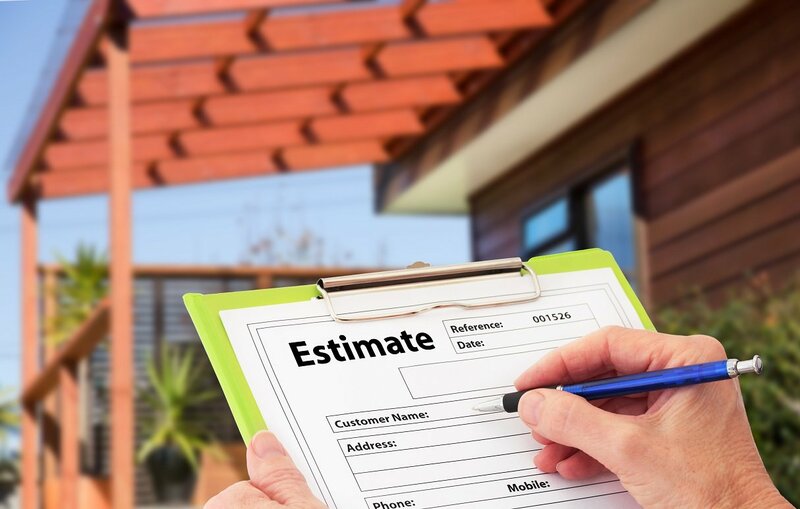 Understanding what a roofing estimate should include will help you to make an informed decision. Costs: Estimates need to spell out the projected overall cost of the job as well as give a breakdown of all expenses like materials, labor, and permits. There are some contractors that will omit some costs out so they can give you a low estimate and win your business. These unmentioned costs find their way onto the final bill and you end up going over your budget. If the estimate is inconsistent with the contract, then your prospective roofer has either made a mistake or tried taking you for a ride. Products: Whether the project involves repairs, replacement, or new installation, the estimate should specifically say which materials will be used. It should also say what types of warranties will be included by the roofer. Responsibilities: Your estimate should give you an idea about the services for which you’re going to pay. Many contractors will automatically add the fees for cleanup and debris disposal into the equation too. Manage your expectations when it comes to possible extra charges, as many roofers will charge extra for additional requests. Start and Completion Dates: Bids are chiefly used for budgeting, but they can be helpful in scheduling, too. 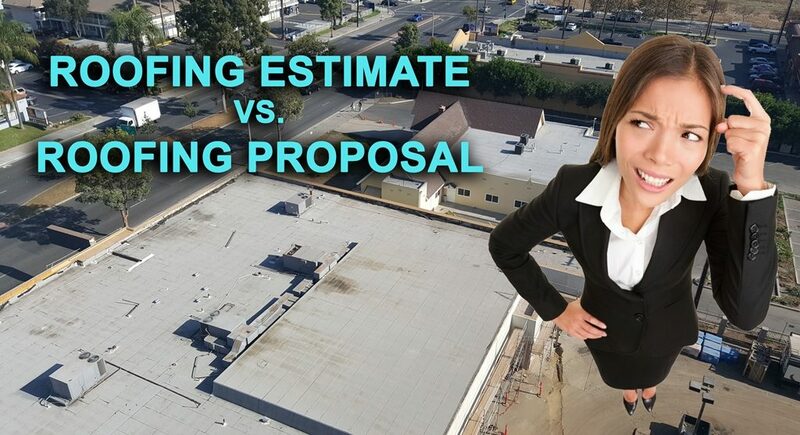 A good estimate will provide realistic roof replacement and repair project timelines, assuming there are no unexpected surprises during work. Payment Terms: A reliable estimate explains how much the project will cost and how you can pay the bill. The contract will provide a more in-depth explanation, but the estimate should offer at least a brief description of how the proposed payment term works. Entrust your roofing project to us and we will happily answer any questions about the estimate and the project at hand. We have many years in roofing and a reliable reputation. Contact us today to discuss your needs, get a free estimate, and get the best for your roof and wallet. There are so many reasons to celebrate in December, as Hanukkah begins the night of December 2nd, followed by Christmas on the 25th, Kwanzaa on the 26th, and of course, the New Year on the 31st. So how to share the holiday spirit with your tenants? You may not be big on decorations, but if you don’t decorate your building or host a party, you may be viewed as a modern-day Scrooge. On the flip side, if you add too many holiday symbols (Christmas trees, wreaths, lots of tinsel, yards of lights, menorahs, and Kwanzaa’s traditional Kinara candle holders), you might be accused of going overboard. How can you strike a happy balance? According to Ginny Decker, vice president of property management for Monument Capital Real Estate Services, Miami and Katherine Furniss, marketing manager at CFH Group, another property management group in Miami, founding the middle ground has helped them keep tenants happier and encouraged them to renew. 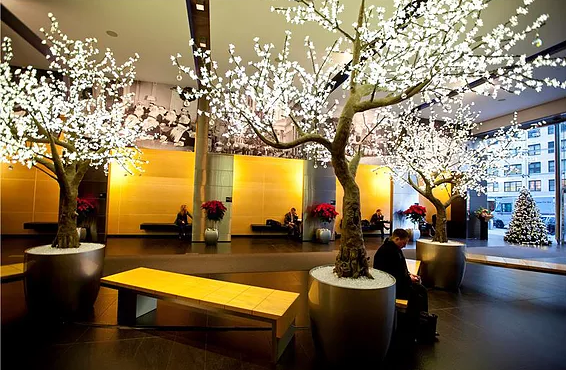 Question: What is your company’s approach to decorating so building owners or property managers show they care—without making the building look like Santa’s workshop? Decker: We let the on-site staff at each building decide based on tenant demographics. You want to have some decorations but not so much tinsel—for example—that it makes it hard for prospective tenants to see the building and sign a lease. We encourage an “understated ” look. Q: How does that translate into decorations? Decker: Generally, we say you can’t go wrong with simple, classic, white holiday lights that make residents feel good when they return home from work or when prospective tenants drive up to the building. Lights always add cheer. Furniss: We take the same approach of keeping decorations simple and using maybe one color of lighting so they look generic, and maybe light the entrance and corporate leasing office. We might also put a wreath at the front door. We refer to all the celebrations as “the holidays” rather than to specific events. Q: Anything else you do beside lights? Decker: Because we try not to celebrate one denomination, we like other generic symbols such as snowflakes, snowmen, silver colors, as opposed to red and green, a tree, menorah, or Kwanzaa symbols. We want to be inclusive, especially since we often don’t know which holidays our residents celebrate. Q: Have you had tenants complain about too much or too little? Q: Do you also host holiday parties this time of year on- or off-site? Decker: We do, and they’re on-site. The specifics vary from community to community-based on the resident profile. For buildings with young children, we might bring in a Santa Claus for photographs with the kids. For other sites, we might have gift wrapping parties where we supply the gift paper. We’ve also organize pot-luck suppers where we provide a ham or turkey, and residents bring side dishes and desserts. At some buildings with mostly lower-income residents, we may give away turkeys. We try to find out what residents want most by doing a lot of surveys throughout the year. Furniss: We’ll host a party in the common area of a clubhouse or maybe on a pool deck of a building. We might have a movie night and ask residents for suggestions, and if their movie is picked they’ll get a prize. We’ll set up “Santa’s workshop” at each building with all the supplies needed to wrap gifts–paper and bows, and make it available the entire month of December. Many of our managers have been with us for years so they tend to know what works and doesn’t. Q: How about saying thanks with contributions to a favorite charity in your tenants’ honor? Decker: We try to do something like that during the season, or ask tenants to donate canned foods and toys so we all give back to our community beyond the building. We also let tenants know where their community may be hosting dinners they can attend. Q: When do you suggest taking down decorations? Decker: Usually, by the middle of January. Furniss: We’ll take them down right after Christmas. Q: Do you decorate for any other holidays to build camaraderie and good building morale? Decker: We try to do things consistently year-round and in each quarter such as Halloween decorations come fall and a pool/barbecue around July 4th or some time during the summer. Again, we ask for tenant feedback to find what they want. Q: Do you set a budget for these types of expenditures, and if so would you share? Furniss: Our buildings tend to spend between $500 and $1,000 for such events. Furniss: We often try to have an event that offers children an activity when we can. Now we’d love to hear from you! What do you do at your buildings to keep spirits up through the holiday season and even into the long month of January? Insulation is an important part of any building and has been incorporated in construction for centuries. Regardless of the different styles and buildings, it was used for, the purpose of insulation has remained the same. Insulation has evolved over the years to keep up with changing times; it always keeps the heat in during colder months, and the heat out when it’s warm outside. Larger commercial buildings spend a great deal on energy costs which makes their investment insinuation a necessity. Combined savings of larger buildings in the country totals over 9.6 billion U.S dollars. These companies save money and the amount of energy used to run these buildings is significantly decreased, which reduces the carbon footprint left behind. Insulation keeps money in your wallet and protects the environment. When you are going to get insulation installed, you need to first find a reliable and experienced contractor. They can help you determine what type of insulation you need as well as evaluate the current status of your building. You must remember the impact of the local climate when it comes to choosing insulation, so it needs to be selected in light of the amount of sun, rain and snow exposure the building will get. Reflective roofing is a popular option for all building types and works great for areas both drenched in sunlight and those that are not. Many people do not realize that these systems are beneficial in all climates and provide effective protection and insulation for your building. Regardless of the weather, reflective insulation contributes to a comfortable working environment. With machines inside generating a lot of heat, the insulation helps to make sure it never gets too warm for the people inside. You should always do some research before choosing an insulation system. The top five materials you will likely choose from include HD coverboard, tapered insulation, EPS, fiberboard, and polyisocyanurate. Each material has benefits depending on what you need. For example, HD coverboard is great for heavy hail while the tapered variety promotes downhill water flow, thus preventing pooling. Depending on your needs and the local climate, there will be an insulation system that works best for you. Insulation saves you money and allows you to run your building more efficiently. You also reduce the carbon footprint on the environment which is an important part of a successful business today. Roofing is an expensive venture but it is a mistake to treat insulation as an option. 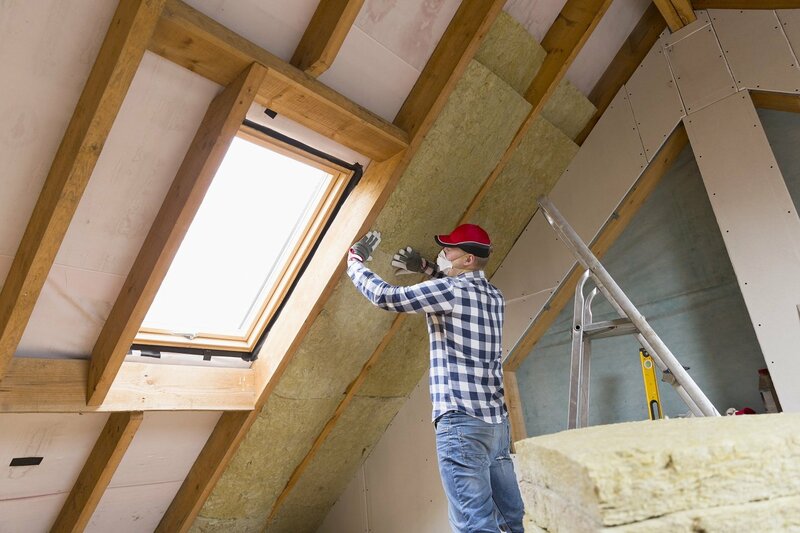 Many places already have building codes in place that require insulation, so make sure you know what you need ahead of time to keep your building up to code. Reach out to us today and we will find the best insulation system for your building and get your savings today. Over time, your roof can become damaged and weak through constant exposure to the elements. Even when your roof looks good, there can be structural damage that later leads to more serious problems. With regular inspections, small problems and weak areas can be identified early and repaired, to keep your roof in optimal condition. Structural weakness and damage not only can lead to expensive repairs but if you are trying to sell your building, this can significantly lower the property’s value. To make sure you get the best price for your property, office or commercial building, you should hire a professional contractor/inspector to first evaluate the roof. Typical inspections involve looking over the interior and exterior of the roofing system. Interior inspections look for any structural damage to ensure the integrity of the roofing system is optimal as well as checking insulation, ventilation, and moisture or mold exposure. Externally, an inspector will evaluate the condition of the flashing, gutters, eaves, valleys, and chimneys. To sell a building, it must be deemed as fit for long-term sustainability. 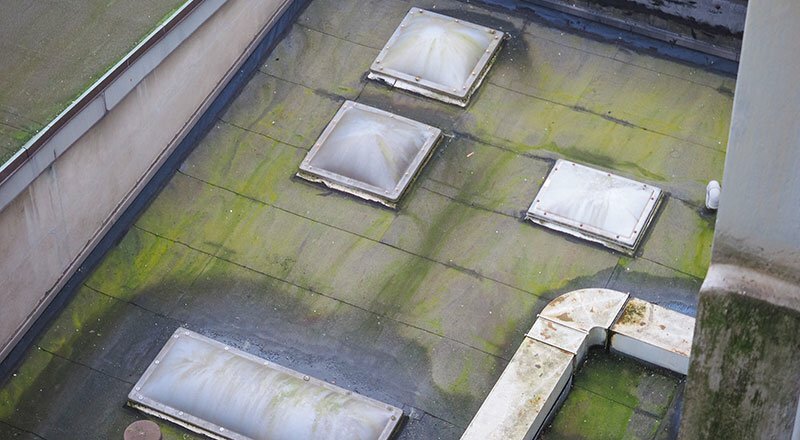 An inspector will assess the quality and condition of your roof and can identify any rotting or weak areas that need repair. Make sure you hire a professional that is fully licensed and bonded because the value of the property could rest on their evaluation, so you want a thorough and accurate assessment made. Any damage found can easily be repaired and will add to the value of the building. You may have to put a little money out first, but you will fare better. Buyers will not pay top dollars for a damaged building. Reach out to us today for an inspection. We have the experience and knowledge to provide full evaluations as well as roof repair and replacement services. We will find any problems, help you fix them and help you get true value for your property. How to Spot Roof Damage After Strong Winds? It does not necessarily have to rain or hail for damage to appear on your roof. Very strong winds can create stress points on your roof that in the end will weaken and compromise your roofing system. While it is true that some roofs have taken the necessary steps to withstand even the strongest of winds, after some time, even the strongest of roofs will have to give in to these forces. That means that it is important to inspect your roof immediately after strong winds replacing the missing shingles and repairing the damages in the process. 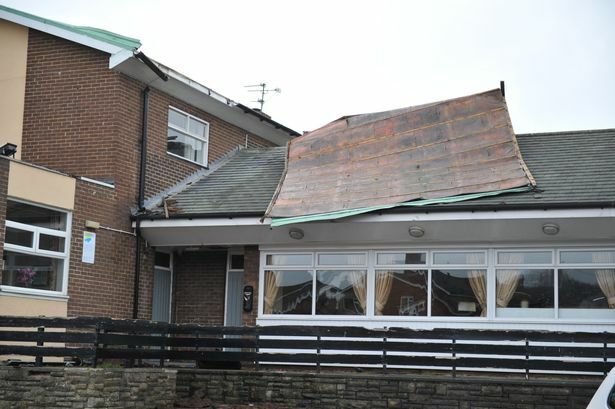 How can Strong Winds Damage your Roof? The fact that the wind does not have a uniform way of damaging your roof means that the areas such as the corners and the perimeters of your roof are the most susceptible to the forces. Even though the central part of your roofing system may not be affected much by the winds, the National Roofing Contractors Association (NRCA) claim that the edges of your roof are the most likely to be affected by the winds. Also, the winds can damage areas of the roof that are weak or loose, by pushing the materials up, and if not fixed earlier, the winds will continue to pull the roof apart in this place the next time they blow through. As a result, the winds will create a pattern that resembles a peeling effect which starts small then develops into bigger damage as time goes by and the winds continue to blow. It is important to note that once the winds create an opening in any part of your roofing system, the rain might start to get in through the exposed part and cause damages to the interior parts. You can, however, prevent this by making sure that the areas around the edges of your roofing system are strong enough to withstand high winds. In some cases, the winds might not cause the damage to your roof by themselves. Instead, they may choose to carry debris such as shards of glass, tree branches and other debris which causes damage. However, you can cure this problem by conducting regular inspection services to your roof. Remove all the debris that may have collected on top of your roof making sure to check the downspouts and gutters as well. Also, look out for weakened branches in nearby trees that may be about to fall on your roof causing punctures. How can you Check for Roof Wind Damage? For flashing, look out for tears and buckling in areas around the roof penetrations. Decay or formations of molds on wooden shingles are not good. It is always wise to call a professional roofer to inspect your roof, especially whenever you are not sure. Moreover, getting to the roof by yourself is not advised because you may fall or suffer injuries, or even cause further damage to your house. A professional will always have the required tools and experience to perform the inspection services accurately and safely. The moment you notice that your roof is suffering from any damage, the immediate step to take is to fix it. The longer you wait, the bigger the problem will get and the more you are likely to spend on repair costs. Contact your insurance agent immediately when you notice any damage and call a professional roofer to fix the problem. You should hire a roofing contractor that has a good reputation of being in business in one area, has the necessary legal documents, has insurance policy knowledge and can create a budget that works with your needs and saves you from unnecessary spending. Always look out for scammers.